Three Counties are happy to present these fantastic beech corner desk sets. 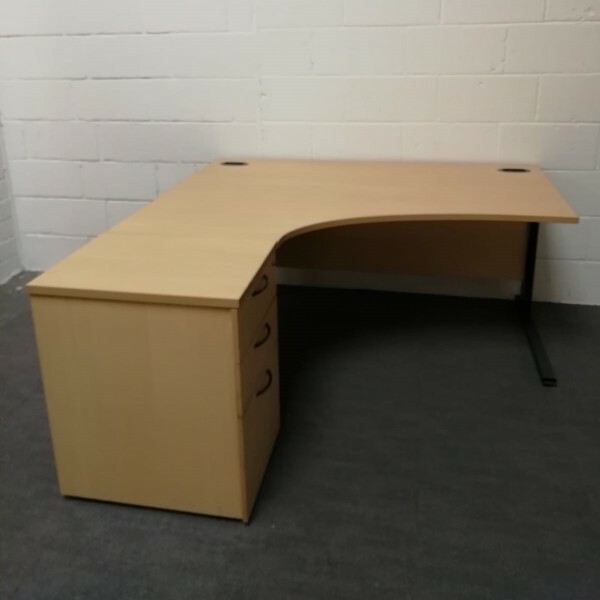 They are in good condition if you are looking if you are looking for a little desk to suit any need! Would work perfectly in a home office or if a corporate office needs some extra space, these will be the trick. Grab a bargain today and call us on 01202 014193 for more information.